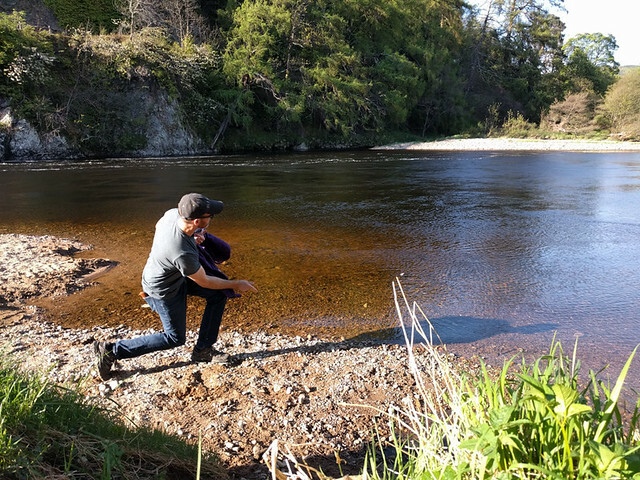 Just like in 2017, Craigellachie hosted a fun tasting on the beach next to the Craigellachie Bridge during the festival. In fact, in 2018 they held an event on both Saturday and Sunday! On both days the weather was fantastic, with sunshine and warm temps, so it was a really nice way to end the day before heading into the evening festivities around town. Craigellachie 51 – Eric tried this one, and found it surprisingly light, with some oak wood and brown sugar notes. 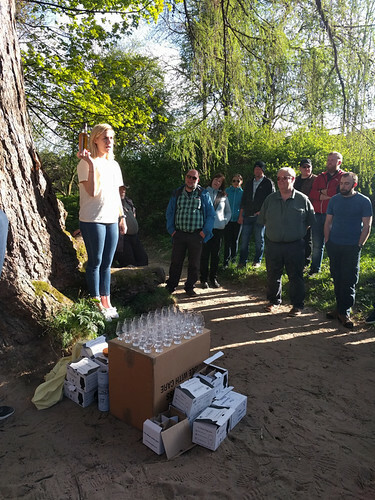 Craigellachie 33 – Leandra thought this whisky smelled like a malt room, with some green apple too. Aultmore 25 – Eric’s second, featuring lovely brown sugar and sherry tones. Some dark fruit, pear and pineapple too, with a cedar aftertaste. Second favorite of the two Craigellachie tastings. 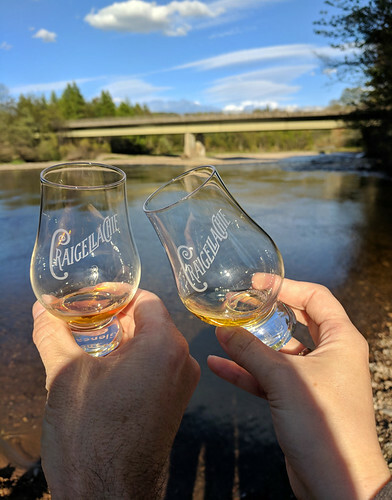 Craigellachie 17 special – a travel exclusive, this was Eric’s favorite of the two Craigellachie tastings with big cedar and leather notes, lovely. Craigellachie 31 – Leandra tried this one, which was a return from last year (and one of the few bottles left). Her favorite! Craigellachie 13 – pine and cedar, smooth, good flavor. Surprisingly nice for its young age.